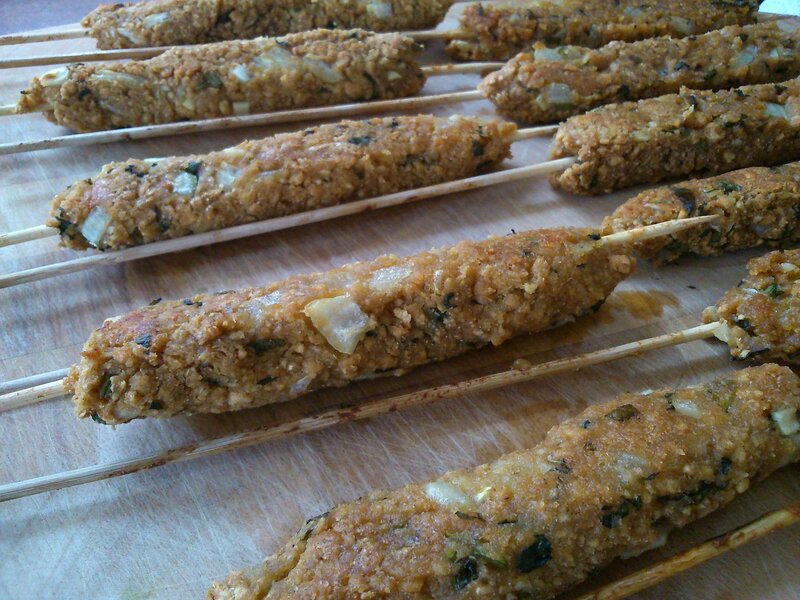 These kebabs are fun to make as well as tasting delicious! The fresh flavour of the mint and onion goes so well with a crunchy salad and the cumin complements a garlicky sauce. You will also need 12 wooden (soaked in water), or metal skewers. Add all of the extra ingredients to the notmeatball mixture and mix together thoroughly. Squash 1 1/12 of the mixture around each skewer in a sausage shape, placing the skewers on an oiled tray as each one is done. Bake the kebabs for 25 minutes turning halfway through, until they are nicely browned. Serve with salad, pittas, and soy yoghurt garlic sauce.